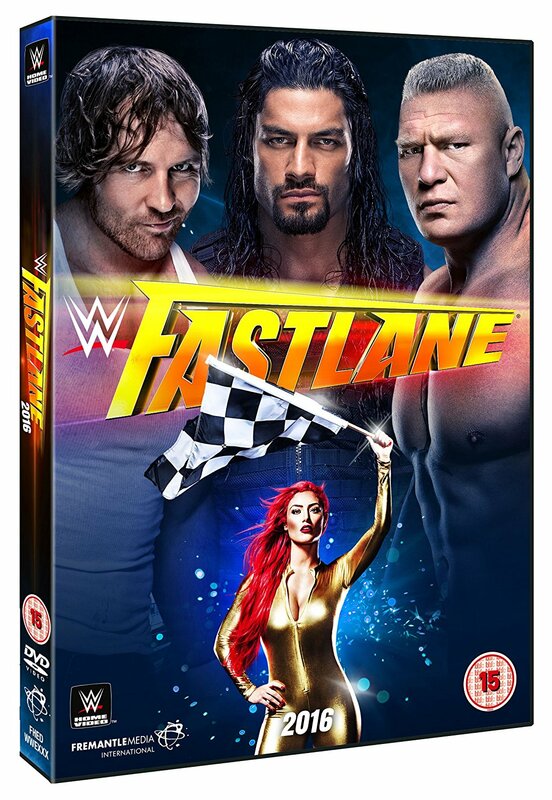 Watching Fast Lane 2016 again on DVD, it feels like WWE has changed a lot since this card was held. Indeed, from new NXT call-ups to a shift in face/heel alignments to a general change in the flavour of the show, it feels like a lot more than a few months have passed since Fast Lane was held. Mind you, revisiting the card here, it's easy to see why: while the action is largely commendable, the event doesn't do much to boost anticipation for WrestleMania 32, nor is it a particularly memorable show in its own right. After a decent opener pitting Sasha Banks and Becky Lynch against Naomi and Tamina, we get a really good Kevin Owens-Dolph Ziggler clash, albeit one which isn't much different from any other match involving either man. After a forgettable six-man tag that pits Big Show, Kane and Ryback against The Wyatt Family (which has a baffling result, incidentally), we see Brie Bella attempt to defeat Charlotte for the Divas Championship in the wake of Daniel Bryan's retirement. To be fair, it's one of Brie's better matches, but the gulf in class between the Bella-era "Diva" and the new, fresh women with previous experience on NXT is like night and day. AJ Styles against Chris Jericho is another very good effort between the two veterans (even though this was AJ's first singles match on a WWE PPV), and it features a world-class sell-job by Jericho at the end, despite the close-call earlier on in the match which almost saw AJ dropped on his head in a set-up for the Walls Of Jericho. The Cutting Edge Peep Show segment involving Edge, Christian, The New Day and The League Of Nations starts well but soon flounders and becomes confusing more than anything as it concludes (it also has a couple of one-liners which are strange to hear on a WWE show considering the circumstances that saw Hulk Hogan fired from WWE in July 2015). An impromptu Curtis Axel vs. R-Truth match is pure filler, and the three-way main event between Roman Reigns, Dean Ambrose and Brock Lesnar is an enjoyable brawl, but one which has a very predictable outcome (the WM 32 WWE Title shot was at stake, after all), and an outcome which is greeted very negatively at that. Included is the Kick-Off Show match, a fun Two Out Of Three Falls showdown for the United States Title between Kalisto and Alberto Del Rio, which unfortunately officially marked the career drop-off for ADR. The February PPV is often a tough sell due to the looming shadow of WrestleMania, and the DVD release of this particular Fast Lane card is an even tougher sell because, unlike the 2015 show which helped to promote around half-a-dozen Mania matches, this show is less successful at gearing fans up for Mania. Shane McMahon's shock return the next night on Raw (not included on this DVD) was the real trigger to get fans excited for the April 3 mega-show, and so you are probably best saving your money to buy the WM 32 DVD. There are some good matches here, but nothing that you won't have already seen before.